Host your next event in one La Table's private rooms. Perfect for business meetings or personal entertaining, our indoor and outdoor spaces can be reserved individually or booked in combination to accommodate larger groups. From closing dinners, to engagement parties, and wedding celebrations, the La Table team is able to provide a flawless hospitality experience. Please complete the form below and one of our group dining professionals will get back to you as soon as possible. Or, email: events@tablerestaurants.com, or call: 832.564.1870 to discuss your event details. 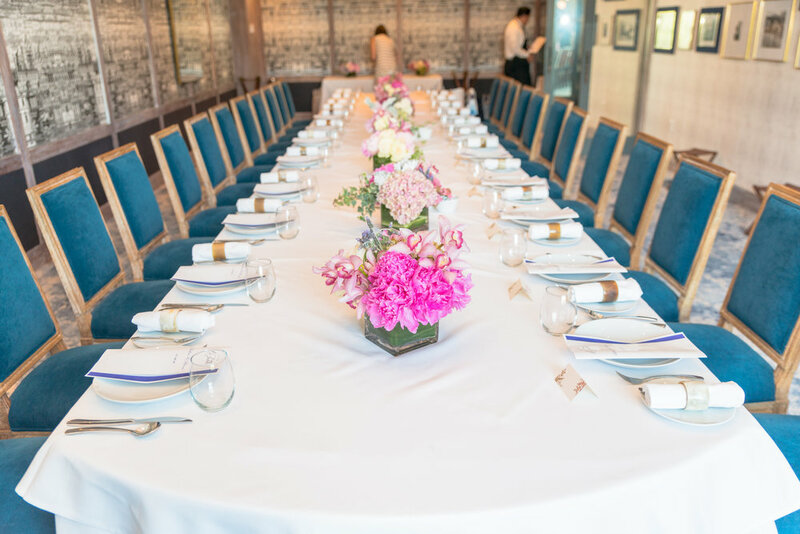 Overlooking one of Houston’s most prestigious streets, the Paris Room is ideal for business meetings, rehearsal dinners and social events, accommodating up to 60 guests. Floor to ceiling windows allow in natural light, providing a warm, welcoming environment. A large rectangular table enables family style dining and is the focal point to this intimate room. Equipped with WiFi, conference call technology, and presentation capabilities, the Champagne Room can become a corporate board room with the utmost in privacy. Retract the screen and the room is the perfect setting for intimate occasions. Reminiscent of a Provençal garden, this outdoor space, is a stylish setting for events. The Patio can be used as an extension of the first floor Marché area or alone for more intimate groups. Our open air café with a brasserie ambiance is equipped with overhead ceiling fans to make this space inviting all year long.